It was another busy weekend at the club with two National League matches, a Sunday match and a Night Pennant! Richard White lead his division 8 team to a comfortable 2/1 win against Holyport which leaves them in a healthy third place in the table. In division 7 we had a very strong team but sadly just lost out to an even stronger Leamington team 3/0 but well played to all players involved – the hard work will pay off! Petworth hosted Newmarket on Sunday and with some great play from all players the match ended in a 2/2 draw which I think all players were please with and as usual everyone was treated to a great lunch! 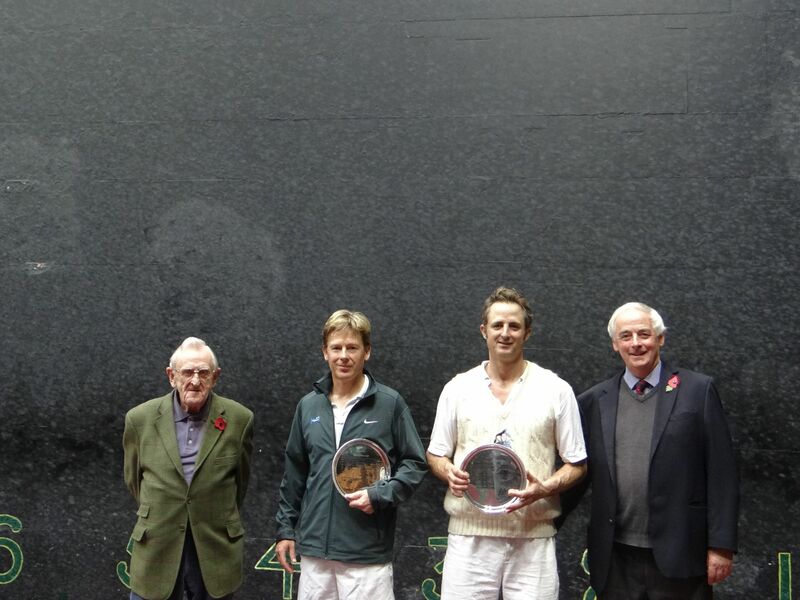 If any of these courts suit you then do book online at www.realtennisonline.com/bookings or call myself or Louis at the club on 01798 343527. Last weekend we had some fantastic tennis played at the club with both singles and doubles being played. On Saturday we had one of the largest crowds I have seen for a final and it was a good job too as this one of the best quality finals of the year between Luke Danby and Adam Dolman. Adam stormed out of the gates and into a 4/1 lead, but Luke managed to step up his game and got the set back to 5/5, he then played a very solid game to close out the set 6 games to 5. In the second set it was Luke who took the lead with such strong forcing that he even had those watching in the dedans flinching! Although Adam started to creep back into the match, he could not quite get back on level terms and Luke closed out the match for his 6th Andy Dawson title. The Final had three of the players from last year’s final playing once again but this year a different outcome. The new pairing of Luke Danby and Mark Drysdale took on the defending champs Adam Dolman and Andrew Page. Luke and Mark started very strongly going into a 4/1 lead but Adam and Andrew managed to win 2 very quick games from the hazard end and get right back into contention. 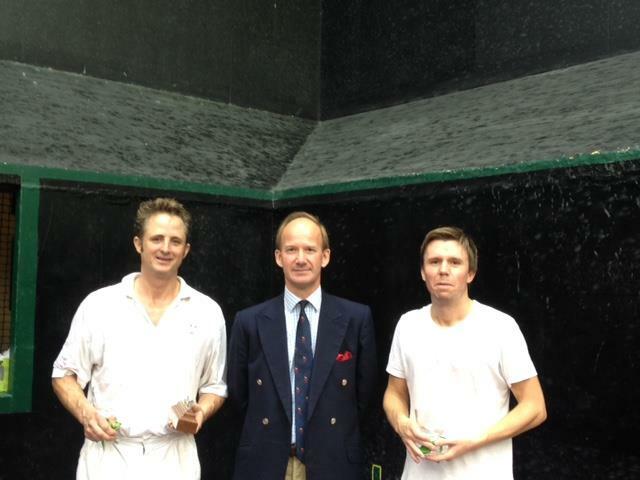 The first set was edged 6/4 by Mark and Luke. In the second set Luke and Mark looked very strong with Luke dominating the court from the service end and they closed the match out 6/4 6/3. Thank you to Brian Rich and Brian Ellis for presenting the trophies and for supporting this great tournament which is now in its 33rd year. Congratulations to our winners and to all of those that competed in w great weekend of tennis.